If clothes truly do make the man, his hairstyle should readily be recognised as the single most important accessory to completing this transformation. Whether long and unruly, shiny and slick, short and rigid – one’s hairdo of choice often says more about a man than what he wears, says or does. Having said that, one can hardly be blamed for getting lost in the overwhelming shuffle of hair products for men that easily inundate our favourite store’s shelves. 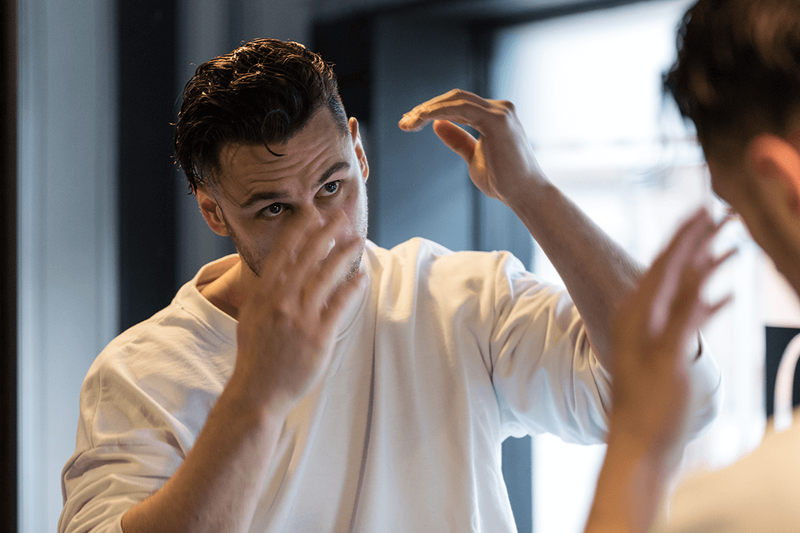 With a plethora of styling products to choose from, we break down the best men’s hair products – from shampoos and conditioners to pomades and hair sprays – to help you in your quest to individualise your spiffy coif. Like picking a haircut that suits your face shape, the type of hair products you choose should be determined by your hair’s length and texture, known as hair types. If you have short, fine hair and want to style it up, for instance, use a wax or gel. For thinning hair, avoid heavier products, like clay and pomades, as they’ll weigh down your hair. As a general rule, never apply styling products directly to hair; place a pea-sized amount in your palm and rub your hands together, to ‘warm’ the product. Apply from the back of the head forward. Below you’ll find a variety of common hair types, with an appropriate product in bold. From there, choose your desired look in terms of hold and shine. Everything that falls in the ‘Medium’ box should be suitable for most hair types. Only when you stray outside of the box do these hair products for men become a little more niche. Within each category you’ll find out recommendation for the best of the best. For those lucky enough to have straight hair, there really is no restriction in terms of usable hair products. Mould to any style with almost any product. The biggest considerations will be the amount of hold and shine you require to suit your chosen look. Curly hair, once a target for the playground bully, is back on trend. Thick, full and textured, it can be left alone for a natural style. However, for a little more control of the hairs’ overall shape, apply a styling cream. You might also consider a mousse for definition, texture and a healthy-looking appearance. Given the nature of short hair, similar to straight hair, most styling products will work well here. Just consider hold and shine to suit a chosen look. Despite there being a plethora of men concerned with hair loss, believe it or not, some men do ‘suffer’ with thick hair. Thick, weighty and dense by nature. A stronger hold styling product is required here to maintain a chosen style. A pomade or clay is your weapon of choice, depending on your required shine. The focus for thinning or receding hair is texture and volume. No need to book in for a hair transplant just yet, gentlemen. Choose a lighter, water-based styling product to avoid weighing hair down. Solutions include a gel, cream, mousse, lotion or hair spray. Wax, pomade and clays are heavier and often oil-based, which will bind hair together, making it looking thinner. For that reason, these are best avoided. You have two choices to make here. High-shine or Low-Shine (matte) and High-Hold or Low-Hold. High-Shine will reflect light, making hair appear glossy. Low-Shine, on the other hand, will absorb light and provide a more natural, matte appearance. Hold is self explanatory: the choices comes down to whether or not you prefer a High-Hold, which offers little or no movement, or Low-Hold for a more natural-looking style, but with a little control. Easy to mould, but once you’re done styling, clay stays in place with a high-hold and dries to a matte finish. In truth, they do range from a thick to a creamy consistency, our preference is the former. Many contain bentonite, a natural ingredient from volcanic ash. It makes hair feel “fatter” by adding body, thickness and structure to individual hairs. Resulting in a strong hair structure and stability throughout the day. Other benefits include the ability to draw dirts and impurities from the hair without drying it. Natural stimulating and healing properties. Nourishing, thanks to a rich mineral and nutrient content. And some conditioning and moisturising elements. One of the newer hair products for men to market. 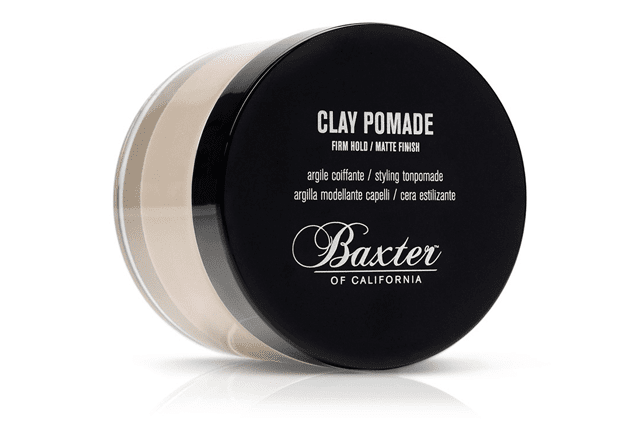 Baxter of California Clay Pomade: Conceived in 1965, Baxter of California has consistently strived for greatness as the West Coast-based brand continues to churn out products admired and consumed by some of Hollywood’s biggest and brightest. Ideal for all hair types, the natural clay based pomade offers a firm hold with a clean matte finish. Generally providing a lighter hold than a clay or putty, fibre is good for casual, everyday texture. It provides reworkable styling with a medium-hold and low-shine. 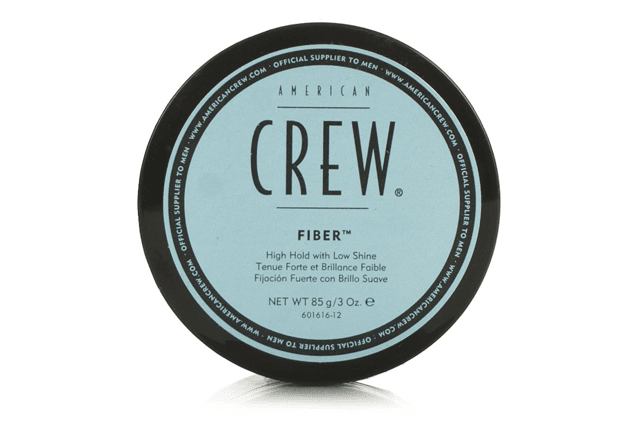 American Crew Fiber: The Fiber product from men’s hair specialists American Crew is wildly popular. Optimal for gents with shorter hair, this fiber-like resinous wax adds volume and texture helping to create a firm, pliable hold with low-shine. Not to be confused with hair paste, putty boasts a similar or slightly firmer hold but with a softer, more re-workable formula. It’s more tacky or almost glue like in consistency. The finish is matte. 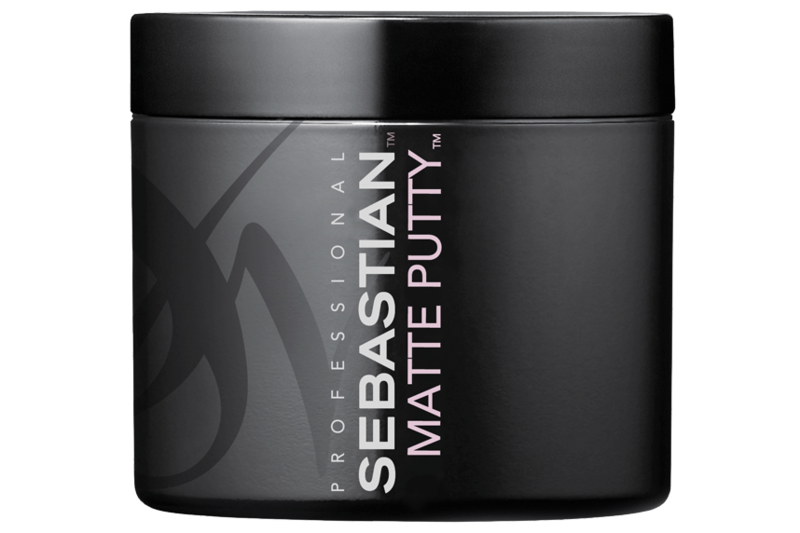 Sebastian Matte Putty: This powdery paste is soft on the inside, yet supple on the outside. Moisturising and malleable, it provides a solid hold and low shine finish. A good paste will act as a texturiser whilst providing a medium hold and low shine, or a matte finish. You’ll see increased volume, and the ability to restyle easily throughout the day. Rub a little in your palms first to warm it, allowing easier distribution. It will re-thicken and harden once it cools and sets in hair. 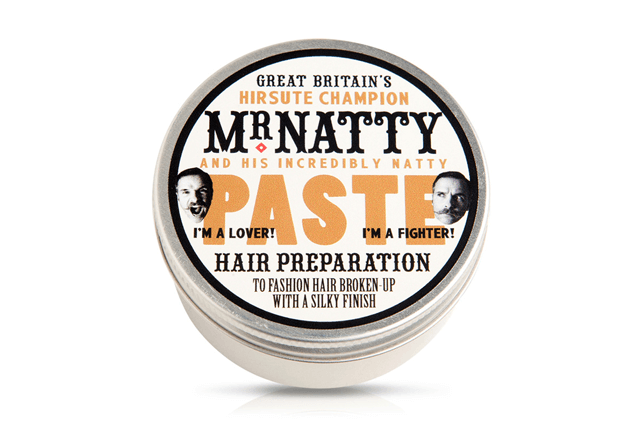 Mr Natty Paste: Developed by celebrity hairstylist Matt Raine, the artistry of his brilliance is on full display in his recent collaboration with Mr Natty. Subtly fragrant, the paste masterfully achieves that natural groomed aesthetic with a clean, silk-like finish. Gel might have been popular 20 years ago but for good reason – it delivers a strong hold and plenty of healthy shine. Choose a gel with conditioners to avoid that “crispy” look, which can cause flaking or unwanted residue. It’s worth noting that gels are available in varying strengths so choose wisely to suit your desired outcome and hair type. Bumble and Bumble Sumogel: “It’s gel, all grown up.” In a nutshell, a modern gel. An evolution of that flakey, wet-look gel you used to slather on at school. The solid gel formula adds a reflective quality, ideal for slick, modern looks that require high-hold with added shine. For a long time the hair styling weapon of choice for women, hair spray is creeping in as a hair product for men too. And for good reason, it offers the perfect balance between hold and volume. There are many varieties with varying degrees of hold but its original purpose was to fix hair in place, and ensure it stayed fixed, so we’ve categorised it as high-hold. 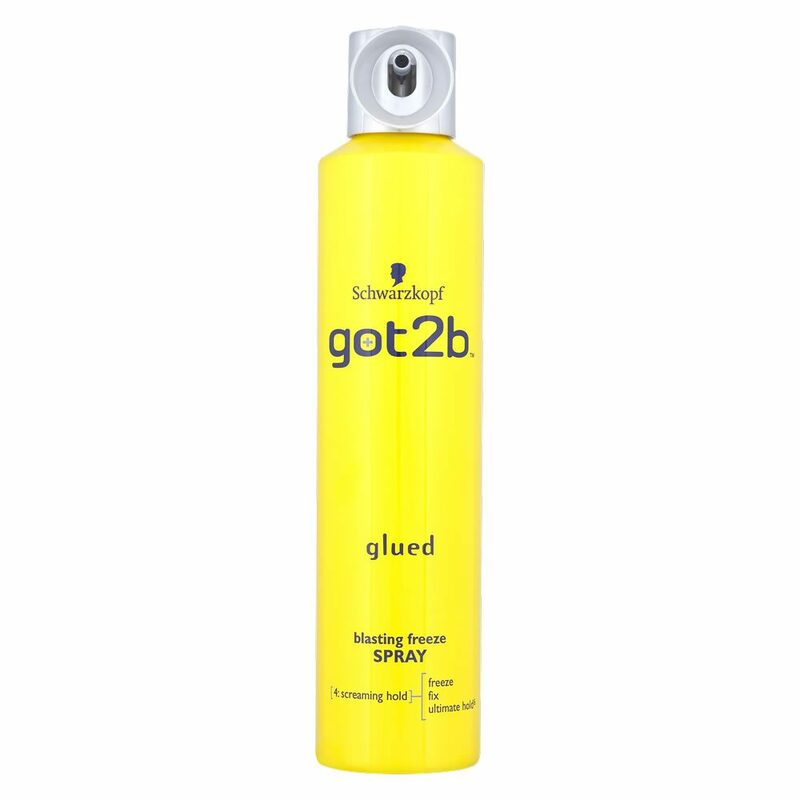 Schwarzkopf got2b Glued Blasting Freeze Spray: for an extremely strong hold, to fix a chosen style in place all day long. Schwarzkopf claim your hair will metaphorically freeze – until the next shampoo. Wax delivers a firm-yet-pliable hold with moderate amounts of shine, although the finish can vary from product to product. More pliable than gel and hair spray, wax can be restyled during the day and won’t harden. It should retain a healthy shine throughout the day. Hanz de Fuko Hybridized Wax: A water-based wax with medium hold and a satin finish. Iridescent mica delivers a natural shine, while a blend of oils including clove leaf, eucalyptus and sage will moisturise and condition your hair and stimulate hair growth. The original hair styler now comes in a variety of options, but a classic formula will deliver a generous amount of hold and a high-shine. The result is a neat, slick style that won’t dry out. We advise a water-based pomade, which is easily washed out. Oil-based pomades are a cheaper alternative but can strip hair of its natural oils and clog pores. 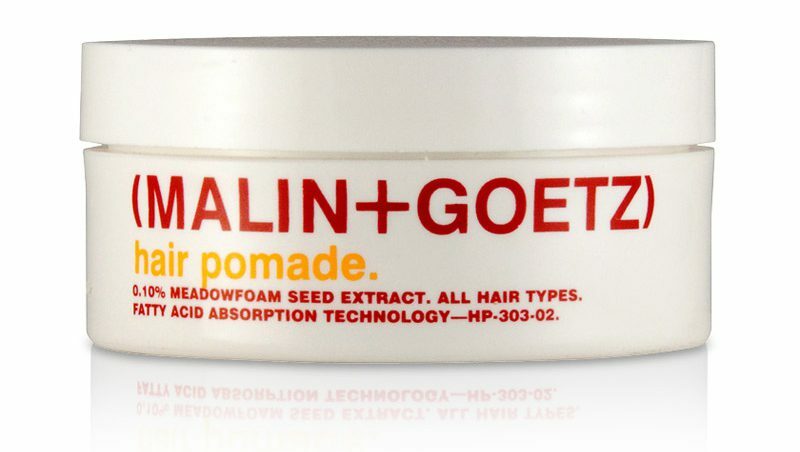 Malin+Goetz Hair Pomade: Industry acknowledged for the their clever blend of “nature and science”, Malin+Goetz deliver a firm-hold styling pomade that sculpts hair without the hassle of residue, irritable scalp and heavy-feeling hair. Meadowfoam seed, cannabis sativa seed and soybean extracts hydrate the hair and give it a healthy looking definition- 57g. Best used on wet or damp hair before applying something “heavier”. The salt acts like a dry shampoo to absorb some grease, and delivers a textured look that you usually only get from a day at the beach. 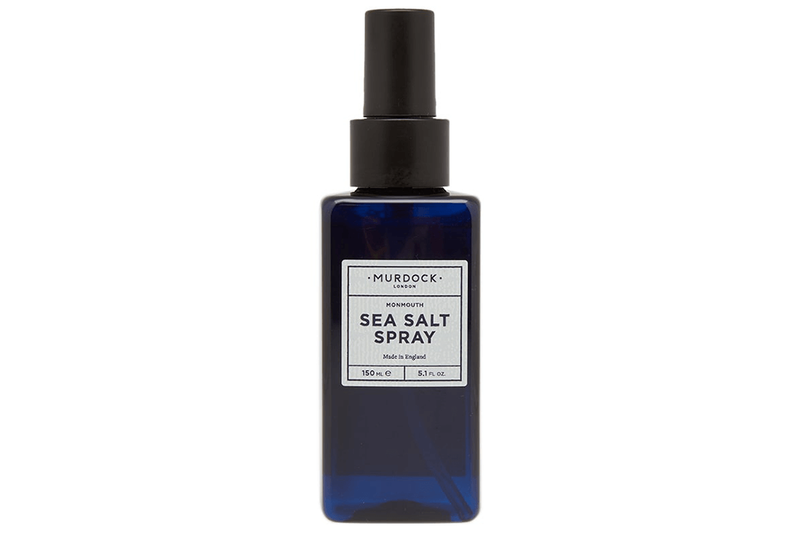 Murdock London Monmouth Sea Salt Spray: Designed to add instant volume and matte texture to your hair. Natural oils and extracts provide a refreshing scent, while sea salt delivers unrivalled performance. Spritz through wet or dry hair before styling for that fresh from the beach look. For those seeking light hold with very little shine. Best applied to towel-dried hair. You’ll see light control and direction without locking hair in place. The result is natural-looking hair but with a subtle hold. Some may contain moisturising ingredients like silk amino acids, olive oil or chamomile for added hydration. 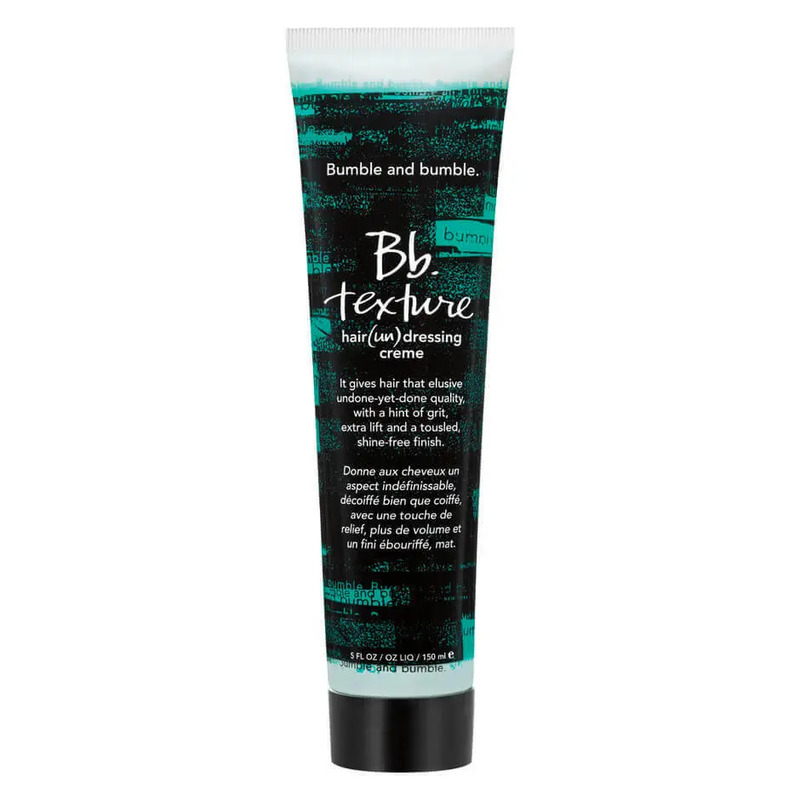 Bumble and bumble Texture Creme: Beauty and grooming giant Bumble and Bumble more than live up to the hype with the creation of this innovative styling crème. Suitable for all hair types, this cutting-edge product allows for a firm and tousled, shine-free finish. A lotion provides light control for a natural look with slight definition. A great choice for those who want a little control, a natural look and not a lot of styling product. Perfect for creating that barely styled look, with minimal effort. 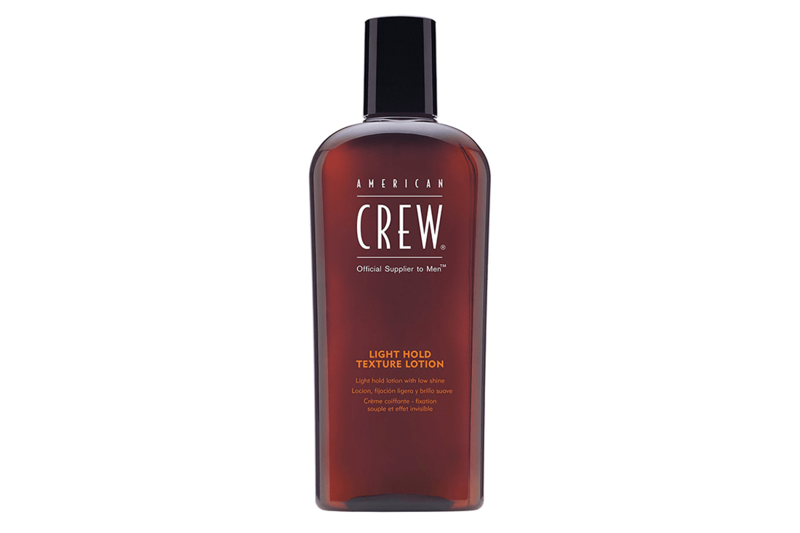 American Crew Light Hold Texture Lotion: Providing light control for fine or thin hair of all lengths, resulting in a natural look. Formulated with natural extracts like ginseng to make hair look thicker. This is an excellent choice for those who want light control in their hair without using a lot of styling product. Also known as volumising powder, except texture sounds a little more manly, apparently. Shake a small amount into your palms and distribute into dry hair. Focus on the roots and you’ll see instant volume. Texture powder can be used alone but it’s more of a layering product – so again, add a something “heavier” after. 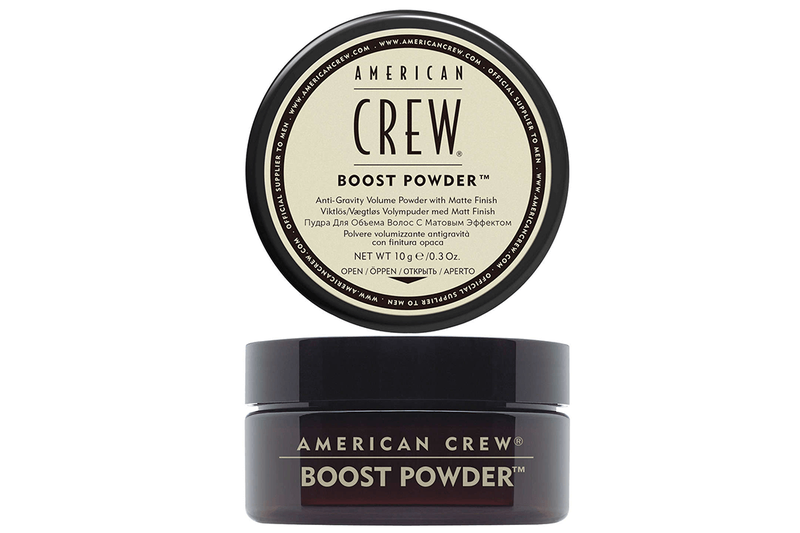 American Crew Boost Powder: Designed to give hair an instant lift, increase thickness and create a matte finish. A weightless powder which adds ‘grit’ for improved texture. Just sprinkle it lightly and evenly on dry hair, making sure the product lands at the root for maximum volume. Not always a popular choice for men but a foamy mousse will surround hair strands with chemical compounds called polymers, resulting in a fuller appearance. Many mousses are specifically formulated to thicken fine hair with agents like rice protein and rosemary, making it perfect for men with hair that’s starting to thin up top. 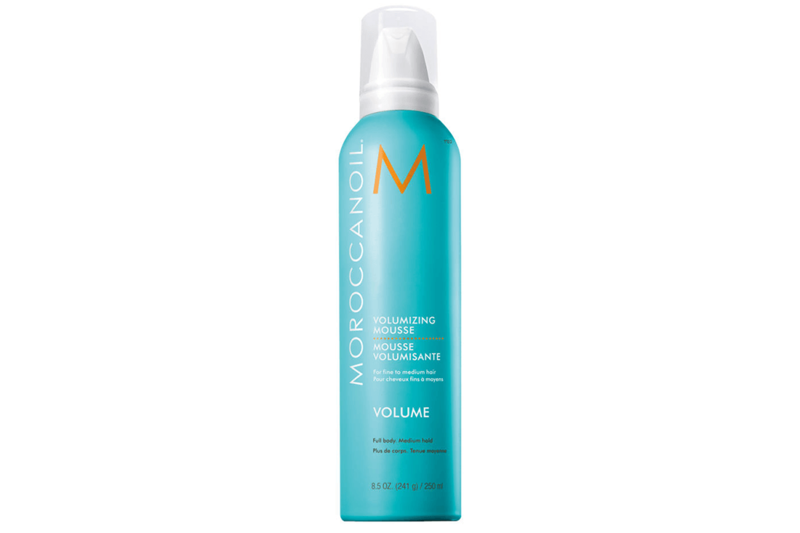 Moroccanoil Volumising Mousse: Designed to achieve full-bodied volume and lift. Its flake-free formula and medium, flexible hold provides “memory” factor for natural-looking styles that last longer. Infused with antioxidant-rich argan oil and an anti-static agent for healthy-looking hair and improved manageability. A shaping balm can enhance, nourish and hydrate dry hair. It will condition, soften and shape hard-to-manage hair too. The result is a healthy shine and a medium-hold. Best avoided if you have oily and or greasy hair as the added moisture in a hair balm will only exacerbate the problem. 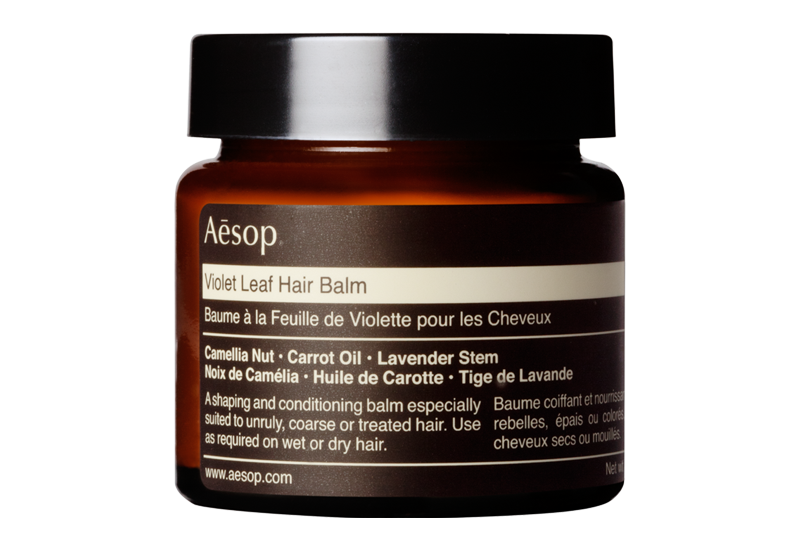 Aesop Violet Leaf Hair Balm: Delivers volume and conditioning to soften and shape hard-to-manage hair; a welcome alternative to all-too-common greasy, sticky, silicone-based shaping products. Available in a variety of formulas but most commonly as a liquid styling gel-like product. A texturiser will add definition, enhance waves and curls while delivering a flexible, light hold with a healthy shine. Use alone or underneath something “heavier”. 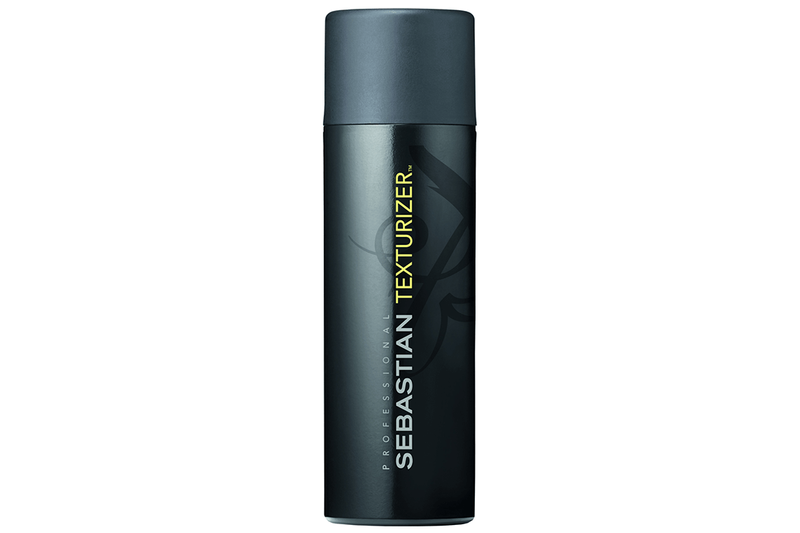 Sebastian Texturizer: Made with wheat and soya protein, this liquid gel tones individual strands of curly or straight hair. The result is textured definition and energised body. With a slick consistency serum is used to reduce frizz and impart silkiness. Ideal for dry, brittle hair it can soften locks. For a quick shine boost, put a few drops on wet, shampooed hair and then rinse it out. 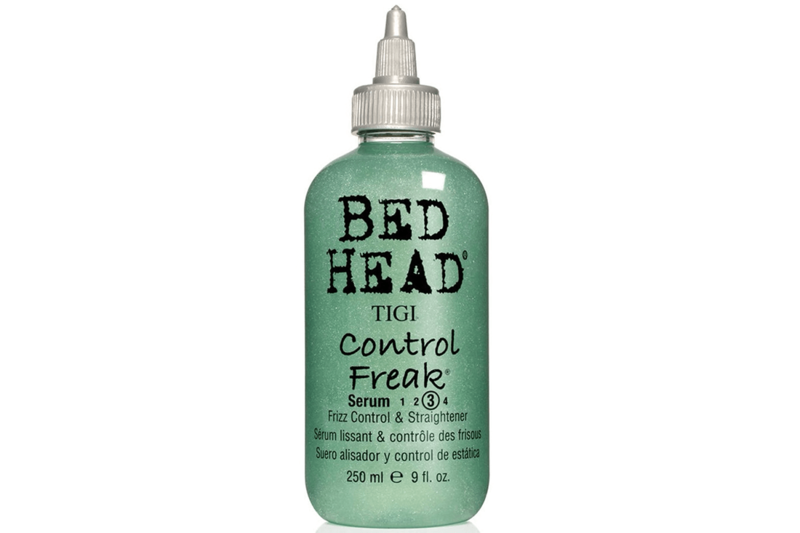 TIGI Bed Head Control Freak Serum: Light and greaseless, hair is left with a straight, glossy finish. Apply to wet or dry hair for an ultra-sleek and super-smooth look and feel. The key here is to ensure your hair, whatever its type, is back to a level playing field. If you’re blessed with straight, curly, short or thick hair, when it comes to shampoo and conditioner, you’re fine to use products for ‘normal hair’. If your hair is thinning then try something with added volume. If you have oily hair, something which removes excess oil, but doesn’t strip hair of its natural oils. Conversely, for those of you with dry hair, choose a shampoo with moisture-boosting properties. From there you can normalise your hair, and revisit your styling product of choice. And remember: don’t over wash – you don’t have to shampoo clean your hair everyday. 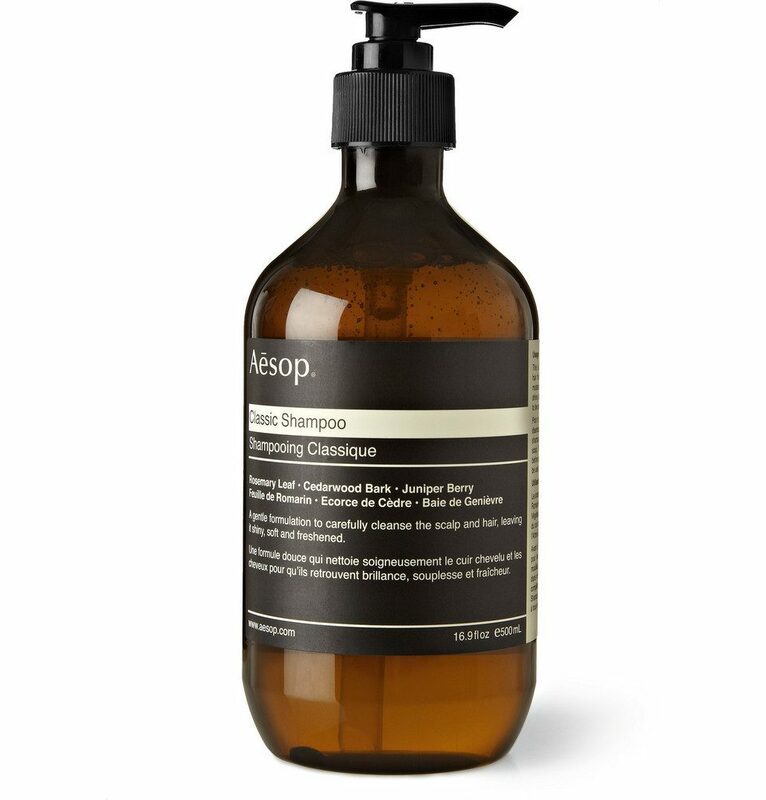 Aesop Classic Shampoo: Aesop’s ‘Classic Shampoo’ formula refreshes the hair while cleansing it by marrying Tea Tree Oil and rosemary leaf with the smoky scent of Cedar Wood Bark and Juniper Berry. Gentle botanicals and hydrolysed vegetable protein work to prevent breakage and encourage strong, healthy growth. 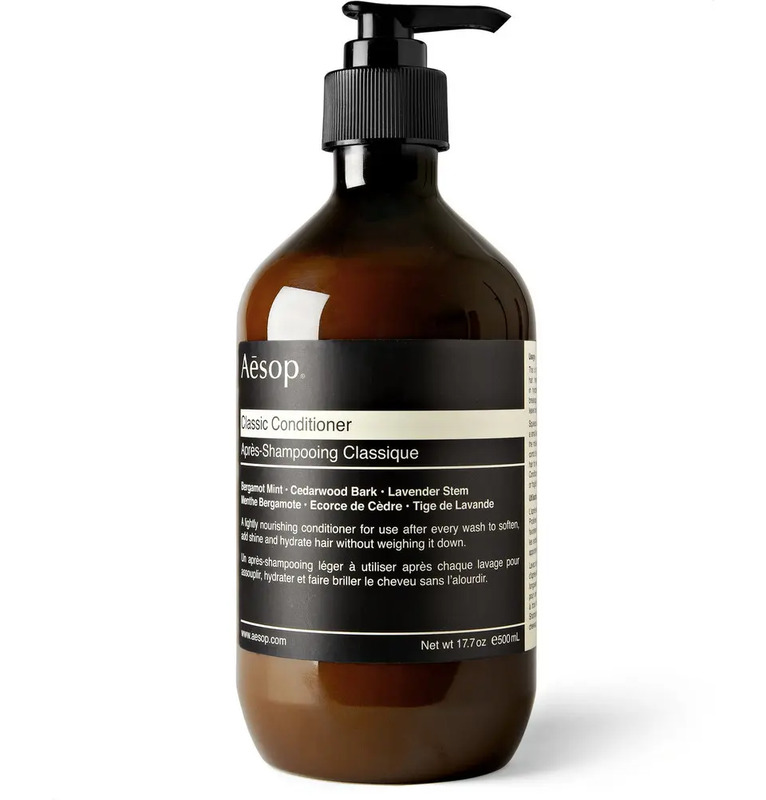 Aesop Classic Conditioner: Light enough for frequent use, Aesop’s ‘Classic Conditioner’ leaves hair soft and clean without weighing it down. Bergamot, Mint and Juniper Berry provide an invigorating scent while Cedar Bark and Lavender Stem help soften and hydrate. Redken Cerafill Defy Shampoo: Hair care specialist Redken addresses hair loss with its specifically created Cerafill range. 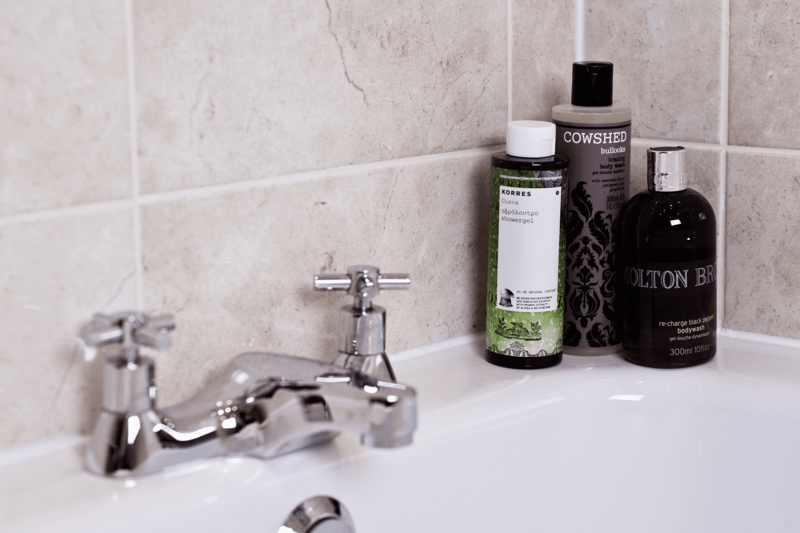 Its gently cleansing shampoo with Zinc PCA helps reduce DHT – the hormone responsible for male pattern baldness – remove impurities, thickens and strengthens hair fibres to prevent breakage. Cerafill System Technology energises hair follicles to re-densify hair, improving the appearance of thinning locks, while nourishing the scalp. Hair is left looking and feeling fuller with a healthy shine, and invigorating ginger mint fragrance. 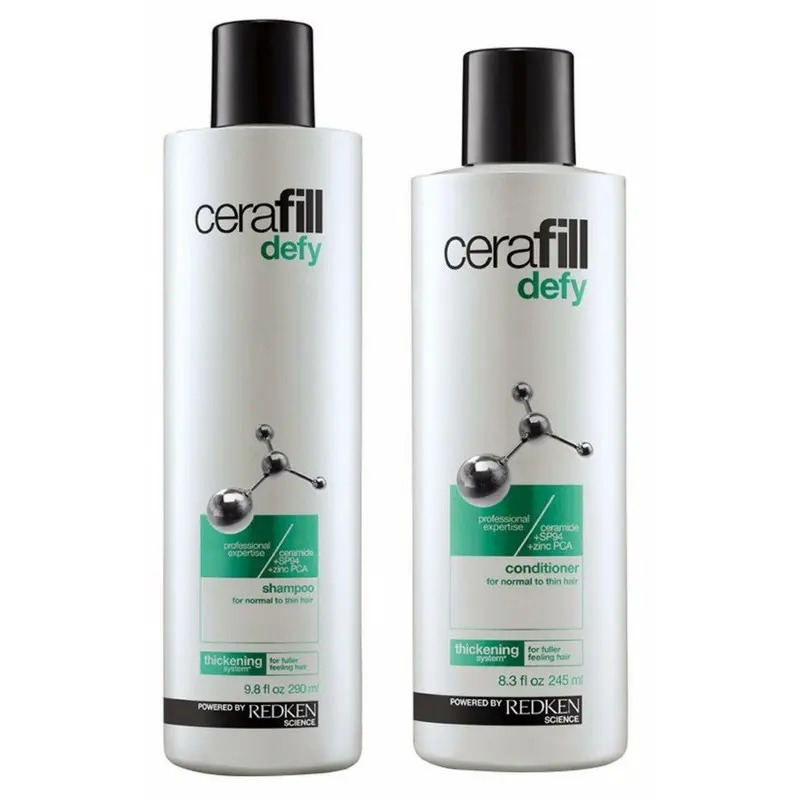 Redken Cerafill Defy Conditioner: Nourish and thicken hair with added shine, for fuller and healthier looking locks. Featuring Cerafill System Technology, the conditioner strengthens fibre to prevent breakage and energises hair follicles to re-densify hair. 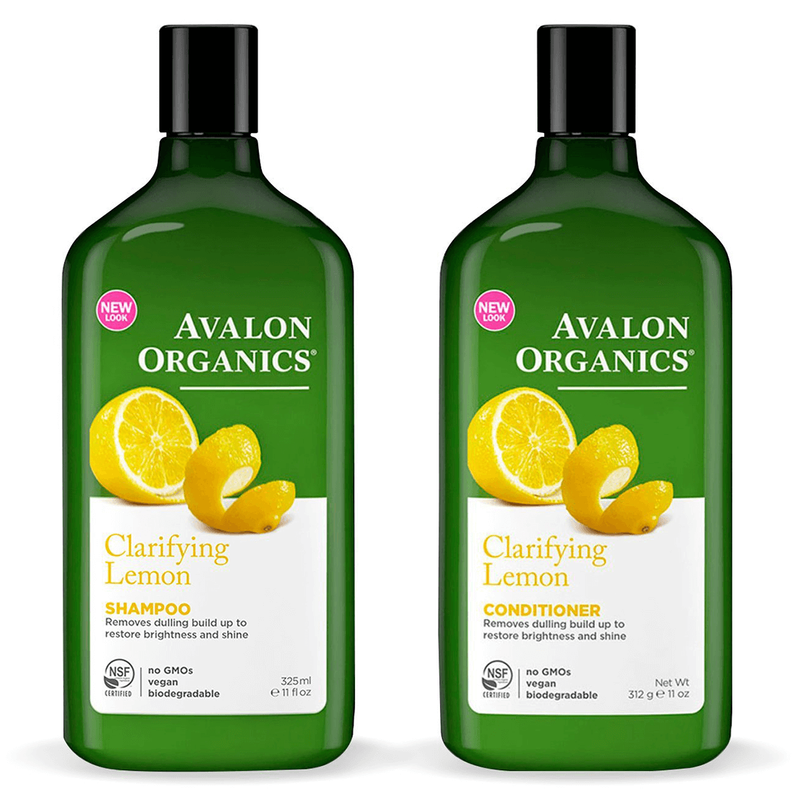 Avalon Organics Clarifying Lemon Shampoo: For hair that is dull or lacklustre, with lemon essential oil, quinoa protein, aloe and vitamin E. It gently clarifies, brightens and remove excess oils and dulling build up. The result is natural highlights, colour and shine are restored. Avalon Organics Clarifying Lemon Conditioner: Again, for hair that is dull or lacklustre, with similar lemon essential oil, quinoa protein, chamomile extract, aloe and vitamin E to gently condition and seal the hair cuticle. The result is shine restored without excess oil. 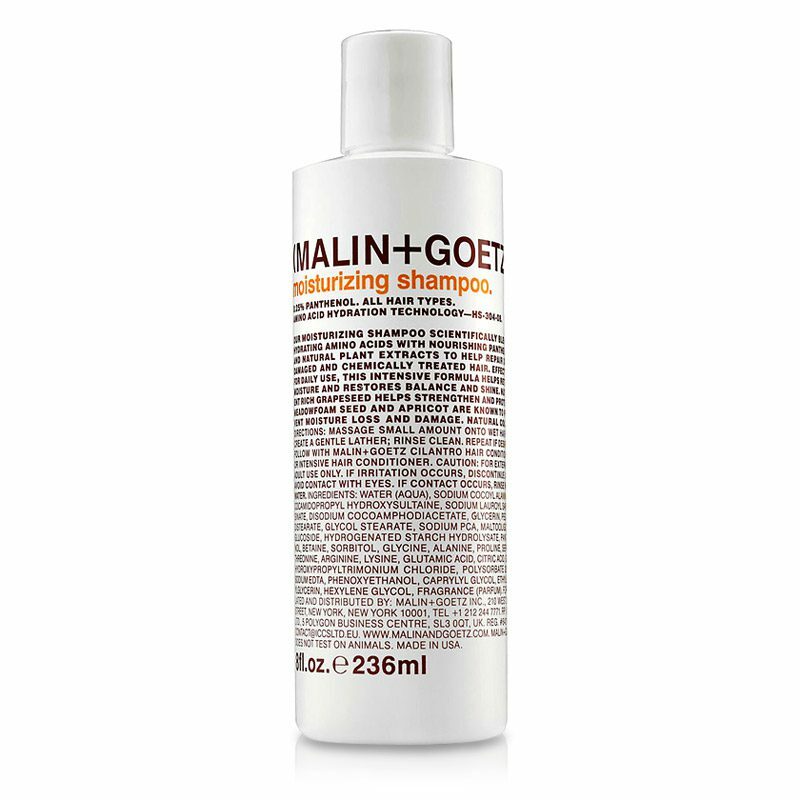 Malin+Goetz Moisturizing Shampoo: Featuring a range of natural ingredients including panthenol, amino acid hydration technology and a range of botanicals, hair is given a moisturising boost. The shampoo cleans hair and conditions whilst repairing damage caused by the sun, chemicals and other environmental factors. 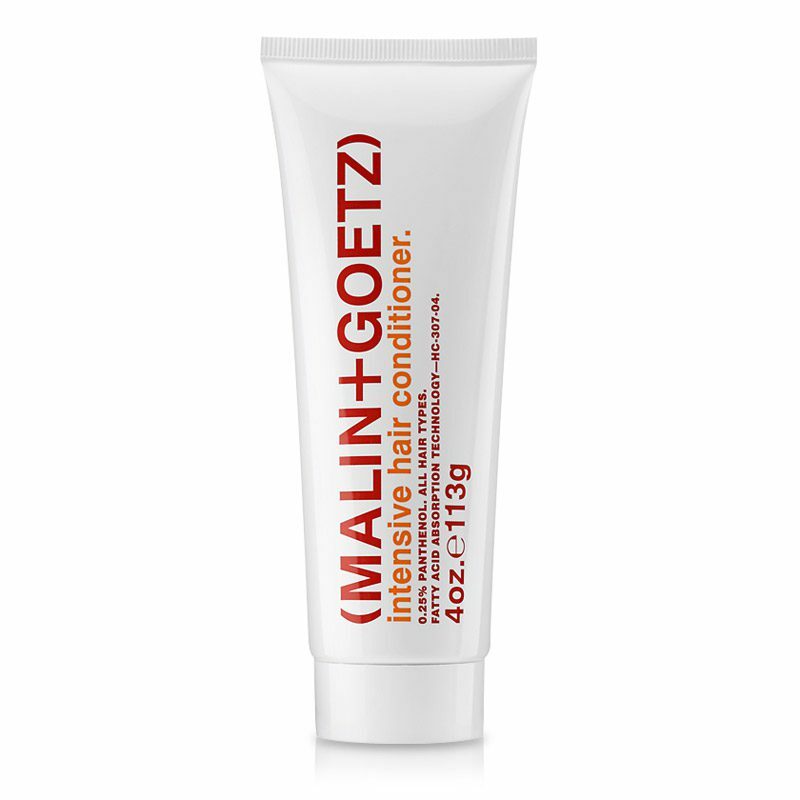 Malin+Goetz Intensive Hair Conditioner: An intensive hair conditioner formulated with meadowfoam seed, grapeseed oil and olive oil, as well as essential fatty acids and wheat amino acids. Also included are antioxidants. The conditioner will hydrate, protect, and nourish hair. The result: hair looking and feeling lustrous and soft, with added moisture. 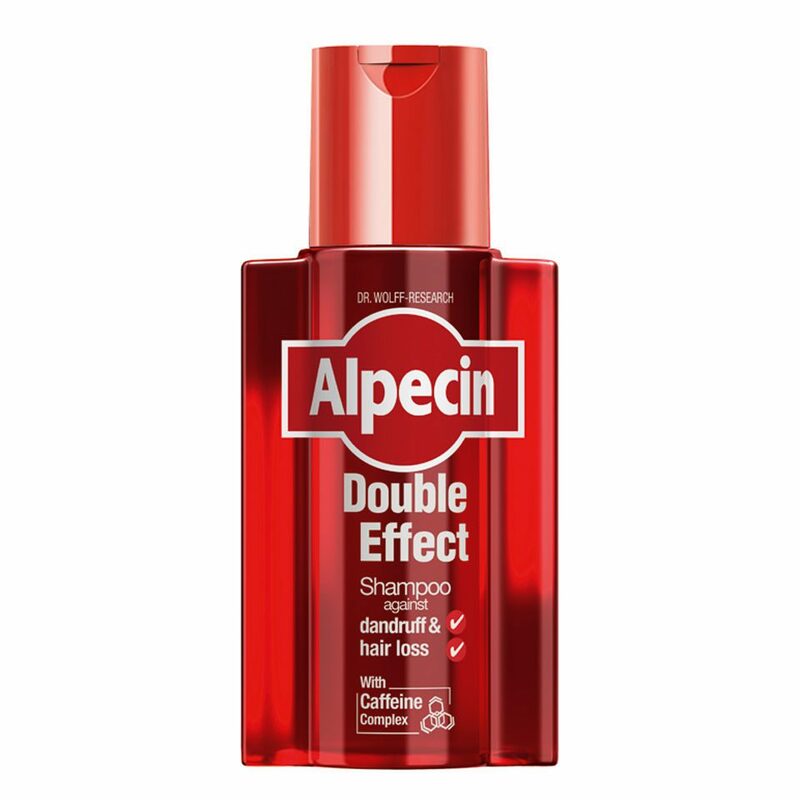 Alpecin Double Effect Shampoo: made with a caffeine complex to fight against dandruff and hair loss. Firstly, the shampoo loosens scaly, keratinous cells and helps remove dandruff from the scalp. And then with the scalp cleared of dandruff, the caffeine complex can penetrate into the hair root and help strengthen it against hair loss. Two for one. Who can complain with that. It’s a good idea to leave off the conditioner if you suffer with dandruff. When it comes to hair products for men, it’s quite simple: figure out what hair type you have, and marry said hair type with your desired look in terms of hold and shine. Just make sure you use an appropriate shampoo and conditioner to level the playing field first.